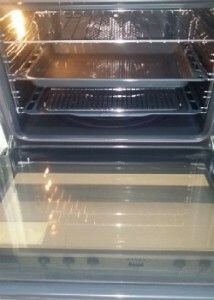 Having been in the cleaning industry for many years, our staff can sanitise inside and outside all kinds of ovens. They are trained and certified, use professional equipment for de-greasing and cleaning ovens. We offer excellent stove, hob, extractor and oven cleaning in Hendon which is professional and trustworthy. Our cleaning technicians work effectively, soak the detachable components in cleaning solution and sanitise the oven door after removing it whenever it is possible. Rely on them to make your oven rid of grease, stains, carbon deposits and burnt food. The cleaning work can take a couple of hours and is done with the help of van-mounted dip tanks, effective preparations and detergents. Our staff remove the detachable parts like grill components, racks, trays and others and soak them in heated cleaning solution in the rear of their van. Meanwhile they clean the interior and body of the appliance. The oven door will be removed too and the glass panels – washed and rid of streaks, stains and burnt food. The trays, panels, racks and hob components which have been soaked will be rinsed, wiped dry and brought back on their places. 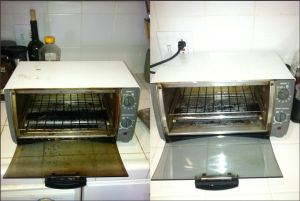 Use our outstanding oven cleaning services which we offer in the territory of Hendon at affordable rates. Using state-of-the-art cleaning equipment and being trained to sanitise all kinds of ovens, our staff can ensure the spotless and pristine state of every cooking appliance. We offer professional oven cleaning across Hendon which can be used in restaurants, pub, hotels, houses, flats and rented estates. Get in touch with us to order the sanitising of the cooking appliances in your property and the work ill be implemented fast and efficiently. Contact our call centre which works seven days in the week for more information.